Waiapu Kids Te Hapara Whanau Aroha is located in the heart of the parish community and has a strong kaupapa as we have been running for 20 years. It is licenced for 50 children and we cater for children up to the age of five. We acknowledge Māori as tangata whenua and we are committed to Te Tiriti o Waitangi-based partnerships. We welcome, respect and recognise with aroha the diverse and unique perspectives of our parents and whānau. We are committed to Te Reo as a language that is central to the development of our children at Te Hapara and we integrate into our teaching. 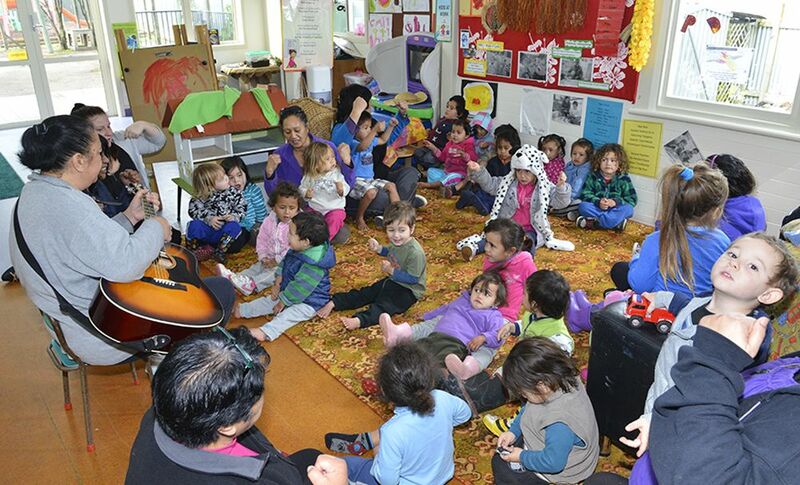 Early Childhood Education is provided for infants to school aged children and parents and Whānau are encouraged to support the centre by attending sessions. The centre building has recently been renovated and enlarged to accommodate up to 50 children. A Whānau Aroha support Worker is available to support children, parents and whānau. Whānau Support Workers work closely with Early Childhood teachers to provide a holistic service for whānau and children. Mothers are welcome to attend programmes whilst children are at the Early Childhood Centre. On site parents can access a Whanau Aroha Worker/Social Worker, Counsellor and Grief Services.